The best way to get to know a community is by scheduling a tour. See the facilities, meet the staff and residents, and get a feel first hand what it's like to live at Bright Oaks of Aurora Assisted Living. 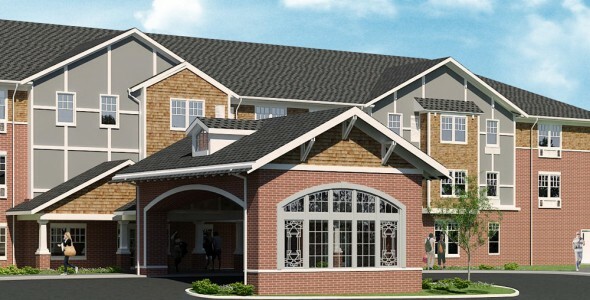 Families now have a new assisted living and memory care option in Aurora, Illinois. Bright Oaks of Aurora is a brand-new community that is designed to have the intimacy of a home with the amenities found in an upscale resort-like setting. Because our community only cares for 60 residents, your loved one will take comfort in knowing he/she will receive personalized care and be treated as in individual rather than just another face. Bright Oaks Group is the owner and operator of Bright Oaks of Aurora. We take pride in developing living spaces that are inclusive, inviting and encourage living. Everyone who joins one of our communities enjoy the support of dedicated staff who care for them each and every day. Whatever your loved one requires to create a fulfilling life is found at our community. Inviting lounges and gathering areas are perfect for reading a good book or joining friends for a game. The landscaped courtyard features gardening areas where residents can indulge their green thumb. For those who consider spirituality an important part of their day, we offer on-site chapel services. For their new home at Bright Oaks of Aurora, residents can choose from one- and two-bedroom apartment floor plans. The apartments feature in-suite climate controls, an emergency call system and the convenience of a kitchenette. Best of all furry friends can move in too since we are a pet-friendly community. Life at our community is carefree thanks to our complete service package. From chef-prepared meals served in the community dining room to housekeeping and scheduled transportation, we handle all of life's responsibilities. And with these services and utilities included in the monthly rent, we also take the hassle out of bill paying. But the services which families most appreciate are our assisted living services and memory care which support our residents' independence and encourage active living. Upon joining our community, each resident receives a personalized care plan that outlines the level of service required. Our 24-hour care staff is on hand to assist with dressing, grooming and medication management, and a licensed nurse is on site 24/7. At Bright Oaks of Aurora, we encourage the type of living that will make your loved one embrace life and live each day fully.